SAN DIEGO, CA (June 20, 2017) – Sony Electronics in conjunction with Sony Global Education announced today the launch of a limited Indiegogo crowdfunding campaign for KOOV, a new coding and robotics kit for the next generation of young innovators. The blocks can be assembled into any shape, with the final figure capable of being controlled as a robot. 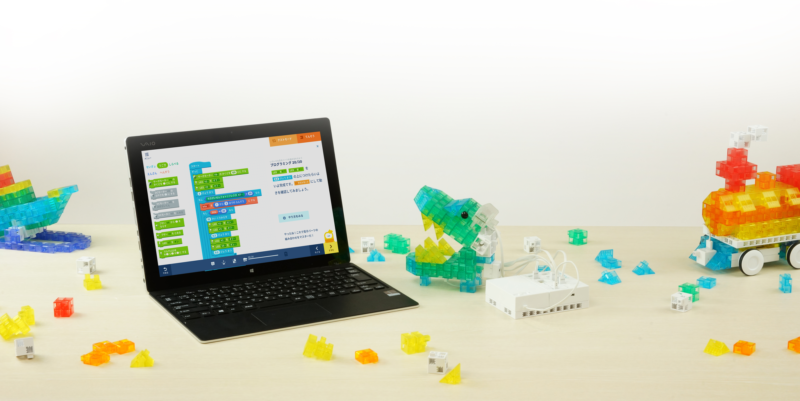 The kit encourages learners to „Play“ by building with 7 kinds of translucent blocks, „Code“ by controlling the assembled figure through the KOOV app, and „Create“ by embracing their creativity and imagination. Pre-orders are available for a limited time beginning June 20th via an Indiegogo, with product scheduled to ship to backers in early December. The suggested retail price is $359 for the Starter Kit and $499 for the Advanced Kit with limited quantities available at discounts of up to 40% for early backers. Interested consumers can learn more about KOOV, and place preorders at https://igg.me/at/KOOV. Dieser Eintrag wurde veröffentlicht in Crowdfunding, Education & Studies, General, Hardware und verschlagwortet mit app, Blocks, IndieGoGo, KOOV, Robot, Sony, STEM von Sebastian Trella. Permanenter Link zum Eintrag.